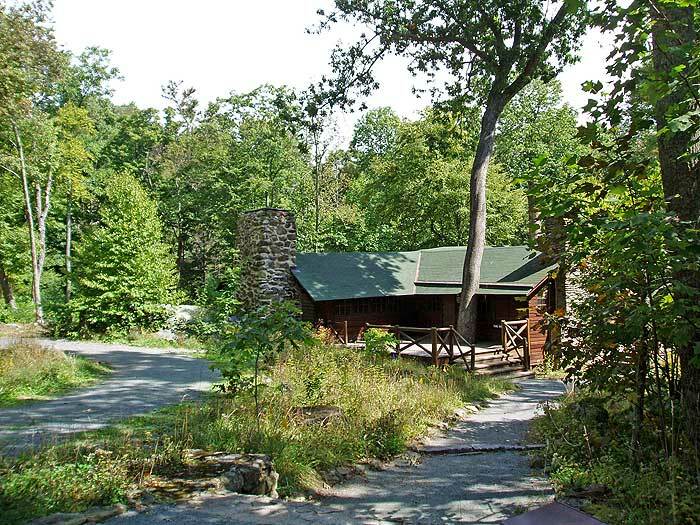 Camp Hoover, also known as Rapidan Camp, is a scenic and historic hike that passes the retreat of former President Herbert Hoover, and First Lady Lou Henry Hoover. 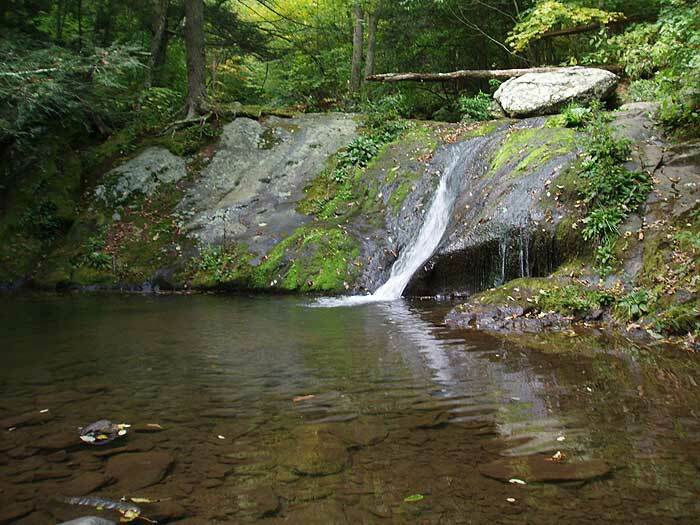 The circuit is a moderate hike and passes Big Rock Falls, which is a small pool and stream cascade where the trail crosses Mill Prong. 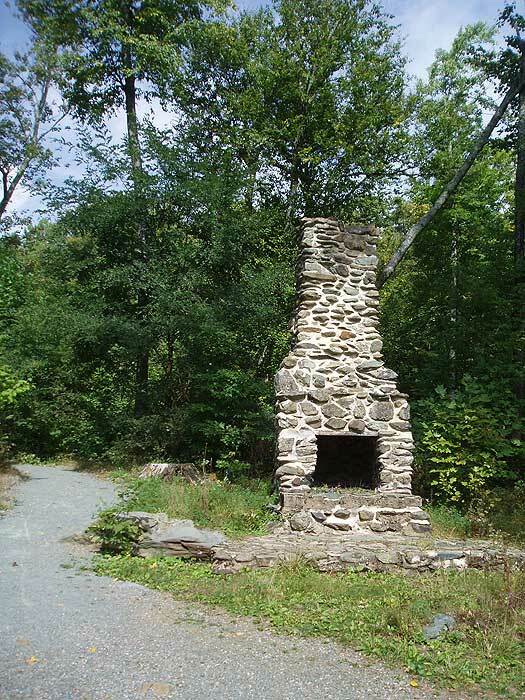 From the parking area at Milam Gap, cross Skyline Drive and follow the white blazed Appalachian Trail (AT) for 100 yards to the intersection of the blue blazed Mill Prong Trail. 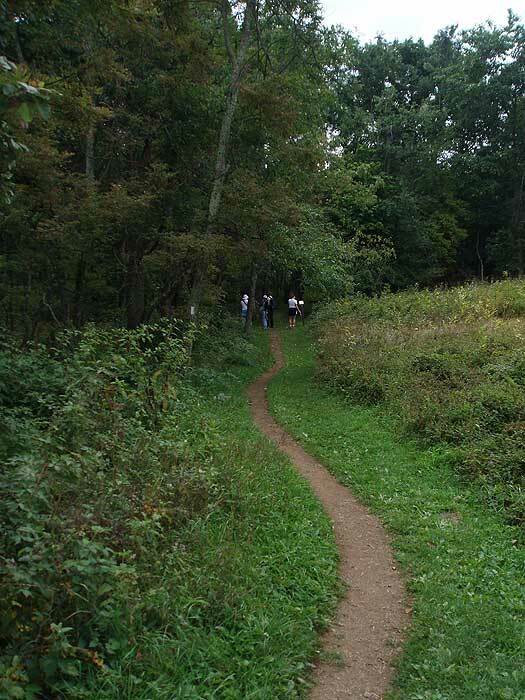 Turn left downhill on the blue blazed trail as it descends into the valley, then in 0.5 miles crosses Mill Prong for the first time. 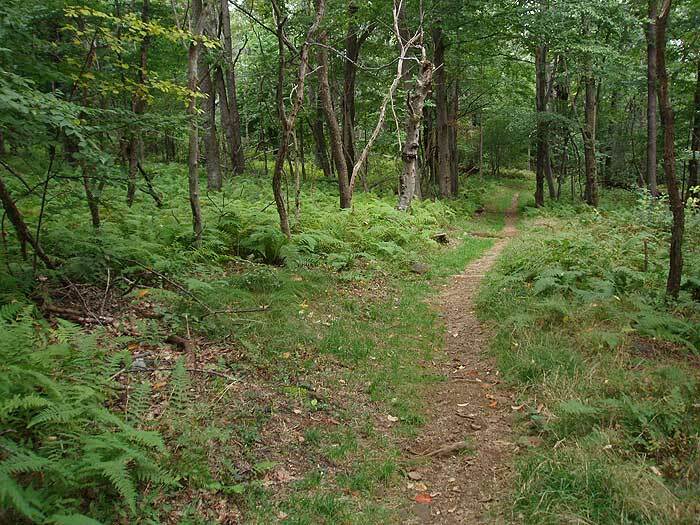 Continue to follow the trail for another 0.4 miles where it crosses another small creek that feeds Mill Prong, and in 100 yards arrive at the intersection of a horse trail that leads to the Rapidan Fire Road. 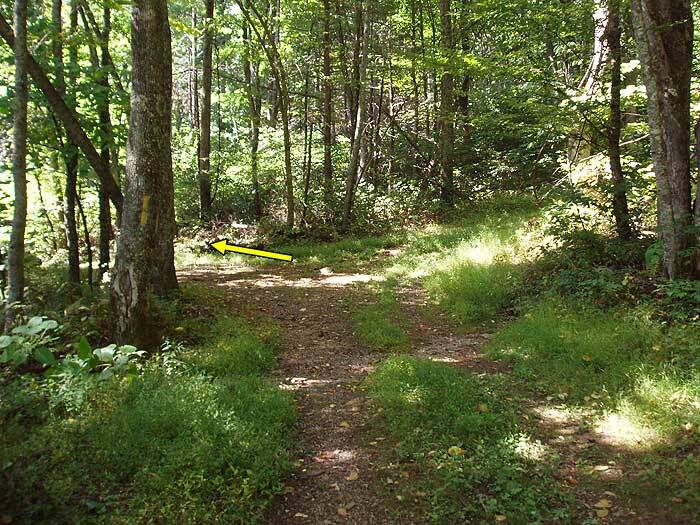 Turn right downhill on the now yellow blazed Mill Prong Trail, from this point to Camp Hoover, backcountry camping is not allowed. 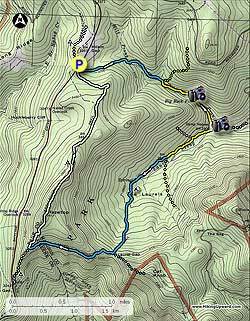 In 0.3 miles from the previous intersection, the yellow blazed Mill Prong Trail will cross Mill Prong and pass Big Rock Falls. 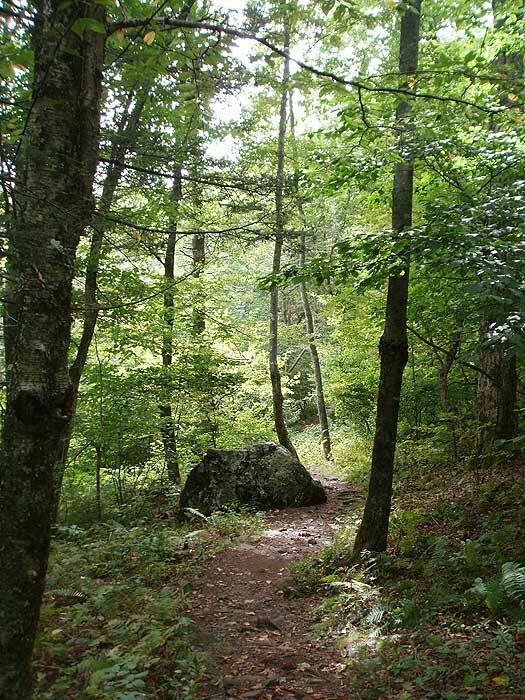 Continue downward on the trail for another 0.4 miles where the Mill Prong Trail ends at Camp Hoover. Turn right on the access road, then immediately left down the footpath passing "The Creel" house. 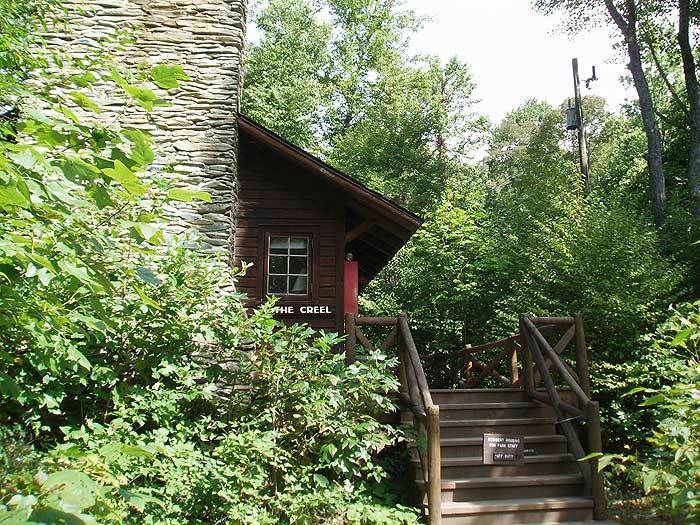 "The Creel" was occupied by two of President Hoover's chief aids. Larry Richey, a former F.B.I. agent assigned to guard the President who also acted as his personal secretary; and Joel T. Boone Jr., the Presidents personal physician. 60 yards past "The Creel" house is the presidential main quarters known as the "Brown House". 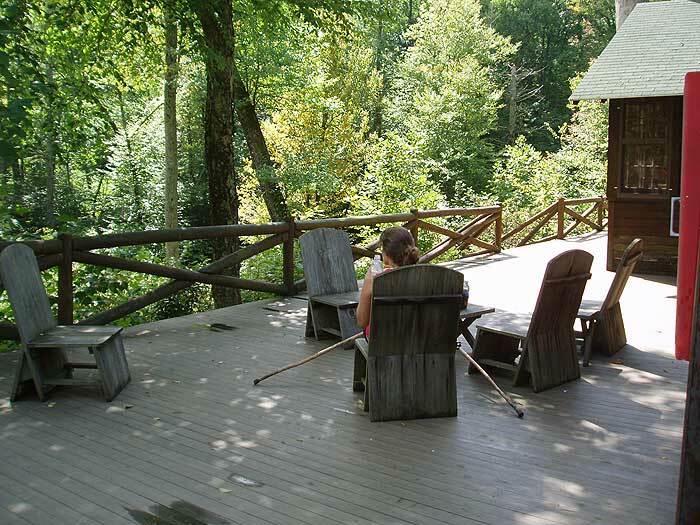 The rear deck on the "Brown House" is a great place to enjoy the same view former President Hoover and world dignitaries enjoyed back in the 1920's. 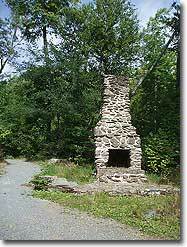 When he left office, Herbert Hoover, and his wife Lou Henry Hoover, donated the land to the government to become part of the newly created Shenandoah National Park. 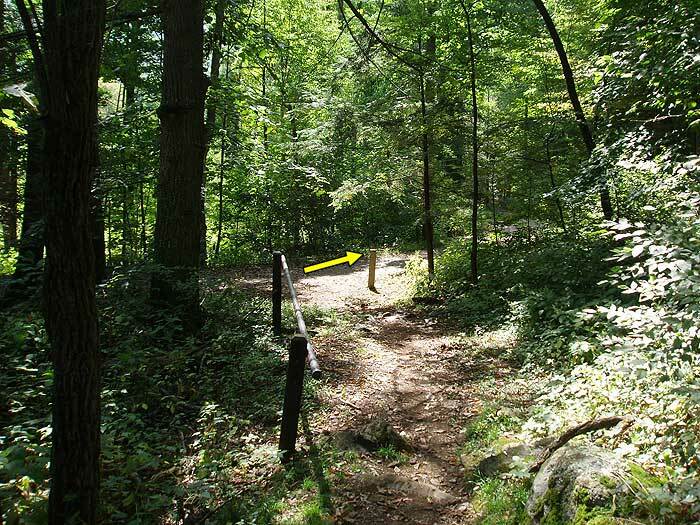 From the "Brown House" continue on the yellow blazed Laurel Prong Trail, that starts at the Camp Hoover turn around. 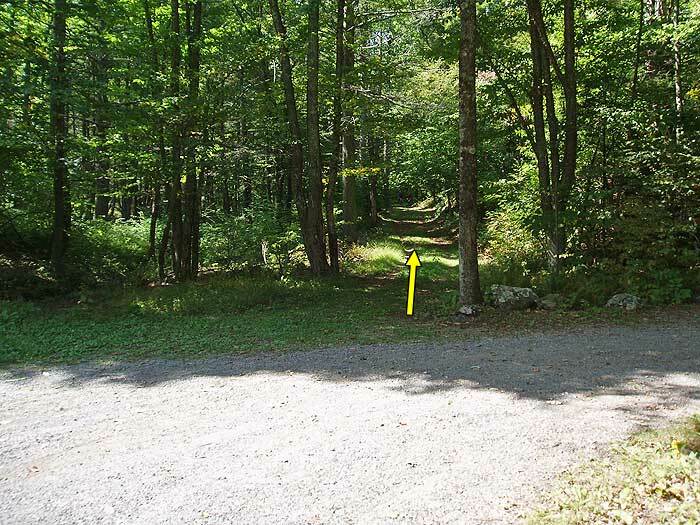 The yellow blazed trail will initially follow an old forestry road for the first 0.4 miles, then the forestry road veers right uphill. Remain left on the narrower yellow blazed trail for another 0.5 miles to the intersection of the yellow blazed Fork Mountain Trail. 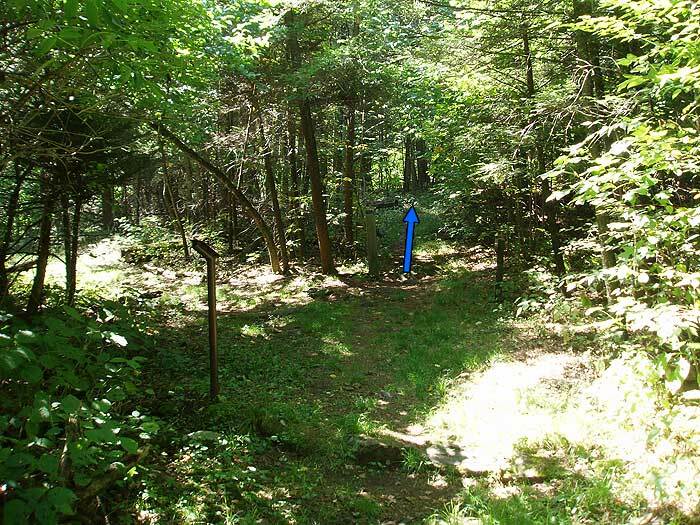 Stay straight on the now blue blazed Laurel Prong Trail for 0.4 miles, then pass a spring and only good camp site on the hike. 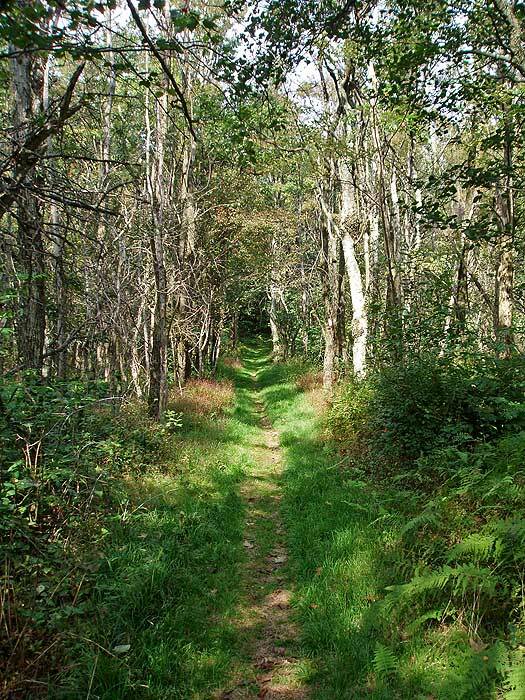 Follow the trail uphill for another 0.8 miles to the saddle, and junction of the Cat Knob Trail. 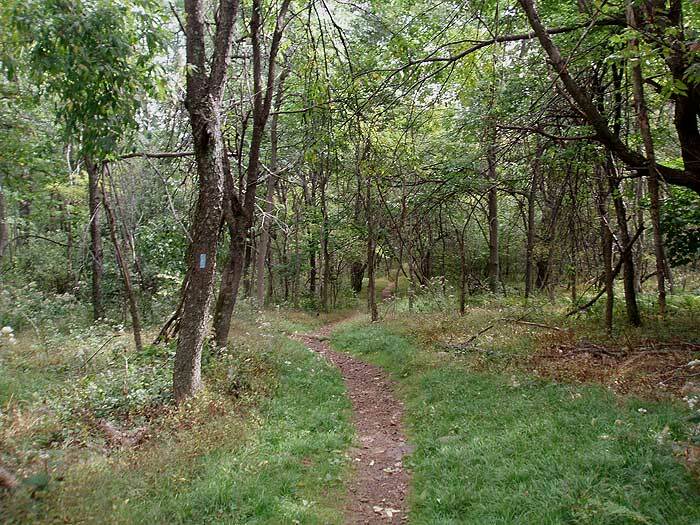 Turn right on on the blue blazed Cat Knob Trail as it continues uphill for 1.1 miles to the intersection of the white blazed Appalachian Trail (AT). 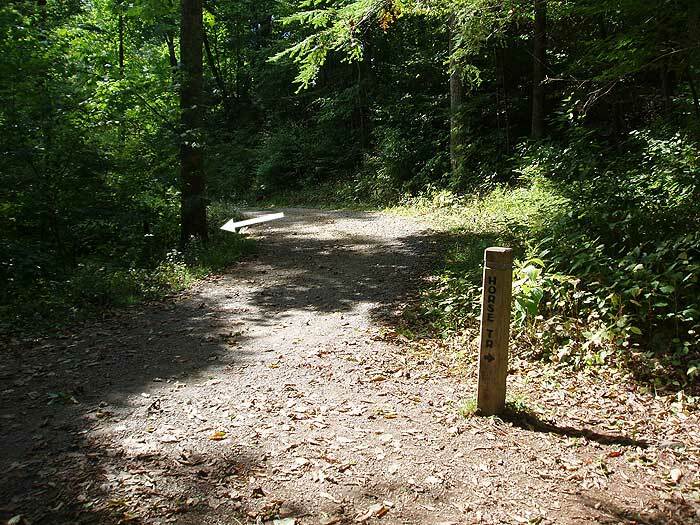 Turn right uphill on the AT crossing over the hike high point, and Hazeltop Mountain, in 0.4 miles. From the high point, the AT now heads downward for the remaining 2.3 miles back to Skyline Drive, and the Milam Gap parking area. 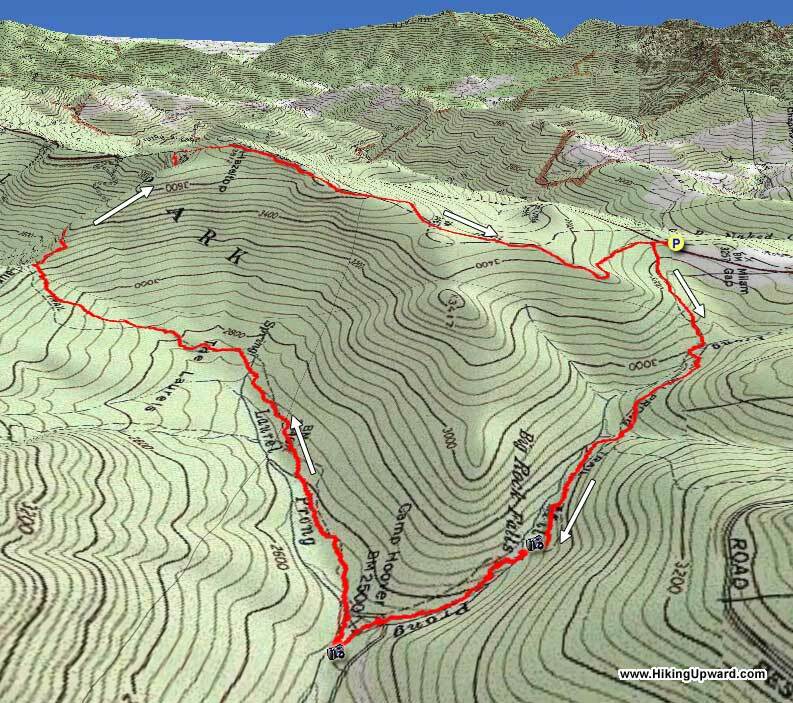 I had hiked to Camp Hoover from Milam Gap as an out & back in June but wanted to do the full loop. 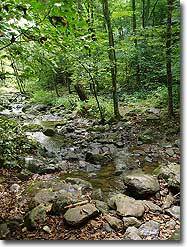 The hike down Mill Prong is enjoyable with the stream close he majority of the decent. 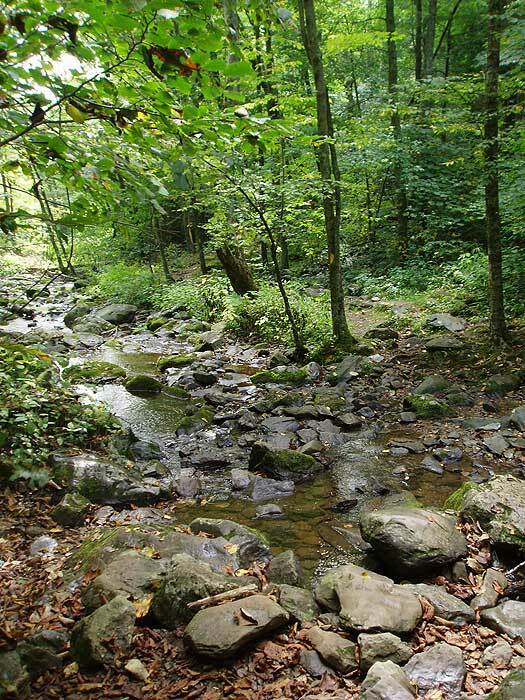 The first stream crossing is my favorite with water flowing around a tree surround by moss covered rocks. It has a surreal feel and I expect gnomes to peak out around the rocks. Big Rock falls while not large is a relaxing place to take a short break before continuing to Camp Hoover. The day I stopped at the camp the gentleman at he camp was very knowledgable about the history of the camp I stayed longer then planned but was worth the time. After the camp I headed up Laurel Prong which is a lovely hike crossing many streams and springs. Continuing on to the AT I came across and overlook just past the summit of Hazeltop Mtn. The view was reminded why I enjoy the hike and was the perfect place to recharge while enjoying a snack. 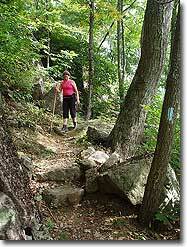 I only encountered a few hikers, mostly on the AT. Overall great solitude, some nice streams and a new favorite in Shenandoah. This was my first overnight backcountry camping experience and it was a great loop to do it on! We started on Saturday at 9:30 am from Milam Gap parking, and went the Laurel Prong trail first instead of the Mill Prong. I would recommend this route. The AT stretch was not strenuous with a lovely lookout. It was not busy. We set up camp at about 1pm on the Fork Mountain Trail next to the stream where there was a perfect spot for a small tent and good places to hang our bear bag. Once we set up camp, we headed the .5 miles to Camp Hoover at 4 pm, and were able to speak with the rangers and get a tour of Hoovers getaway. It was a lovely and informative tour that changed my mind about Herbert Hoover altogether! Seemed like a very kind man. It was nice exploring the camp in the dwindling daylight. We awoke on Sunday morning and set off at 9 am. 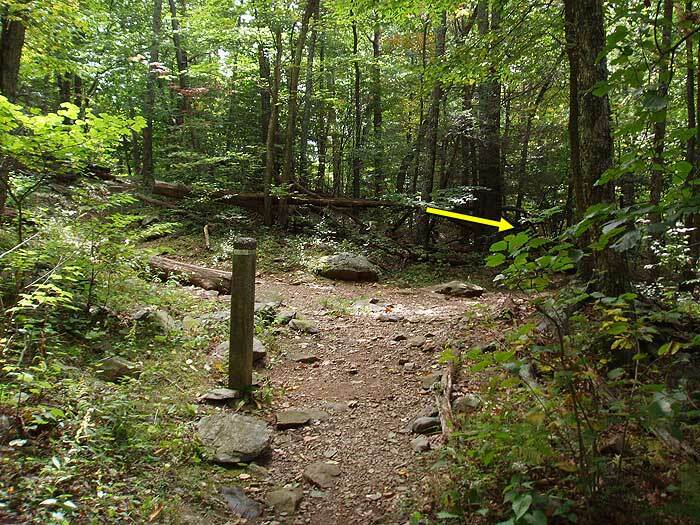 We allowed ourselves 2 hours to get back to Milam Gap via Mill Prong (2.8 miles) since it was entirely all steep uphill. 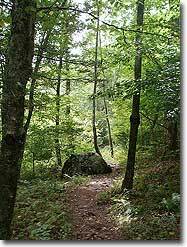 About .2 miles from Big Rock Falls, we spotted a very large black bear 20 ft. to the left of the trail staring at us on its hind legs. We made lots of noise and blew our whistles and eventually it turned and ran away. 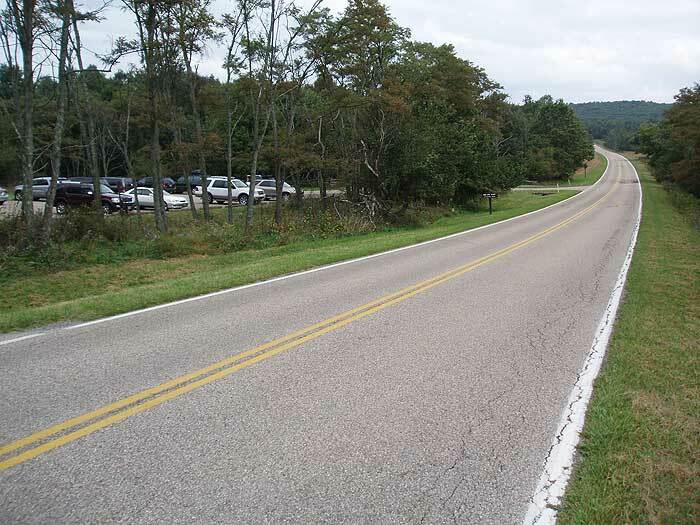 Needless to say, we were back at the parking lot by 10 am, practically running the rest of the uphill. All in all, it was an extremely enjoyable trip. I loved the solitude of the camp, and the quietness of the entire hike. I would definitely do it again as an overnight or a day hike!!! This is a nice hike. It's pretty easy to Camp Hoover and it was nice to have lunch on the deck of the Brown House and stroll around the camp. 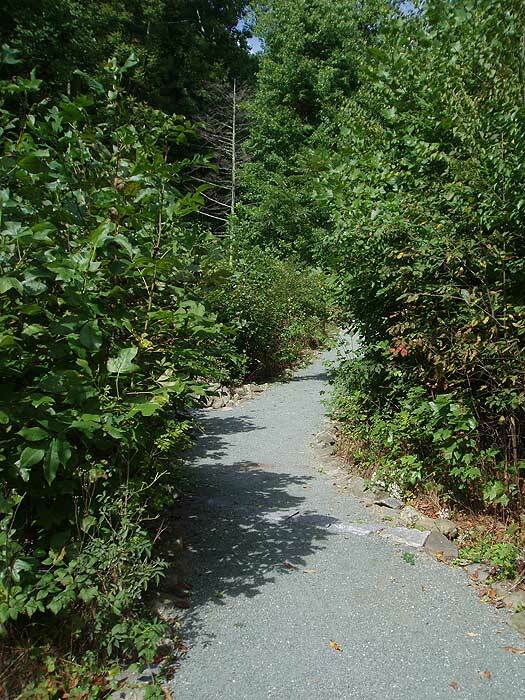 The Laurel Prong trail was okay with not much to see until it intersects with the Cat Knob Trail. The last half mile or so before the intersection are the toughest of the hike since you gain ~500 feet. 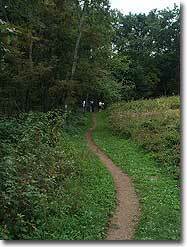 After that it's some ups and downs, and the trail is much more fun to walk until the AT. The climb up Hazeltop isn't steep, just constant, and then it's very easy downhill the rest of the way. Putting this on the list for a family hike.